Nintendo of America has updated the trademark for watery racing series Wave Race. But don't get your wetsuit on just yet — there's no confirmation of a new game for now. The trademark was renewed as of mid-August, according to Trademarkia. It's possible that there's a new entry into the series coming, but it could also be a case of Nintendo keeping its options open, or perhaps preparing for digital re-releases. The original Wave Race jet skied onto Game Boy in 1992. In 1996 3D sequel Wave Race 64 came out on Nintendo 64 but, Virtual Console release aside, we've seen nothing of the series since GameCube sequel Wave Race: Blue Storm thundered out in 2001. Would you be interested in a new Wave Race game? Aaand, now I have the 64 theme song in my head. Thanks. If they just remade the N64 game and put it on the eShop, I would buy it in a heart beat. I played WR64 once or twice and loved the wave physics. I bought a copy of Blue Storm last year and was absolutely blown away - the graphics looked great (well, the riders weren't particularly high-poly but the environments were excellent) and loved the feel of the physics. I'm looking forward to being reunited with my Wii to play it. If they keep up the quality of the physics and the like I think they'll have a winner on their hands. I'll play it if it's on the Wii U. I have a feeling this will be a Wii U Ware game or whatever they are going to call the service. Awesome! A WiiU version of Wave Race would be a day one purchase no questions asked. Seems there's more than one series that's missed the Wii completely... Wave Race and F-Zero. Maybe Nintendo will finally put one of them on the 3DS or Wii U... come on Nintendo, start rebuilding those classic games back up again! If they bring back Wave Race. I have a feeling they'll replace the characters with Miis and itll take place on WuHu Island just like Pilotwings Resort. Not that thats a bad thing! Aw yeah! 3DS or Wii U, I'm buying it! I would love a new Wave Race game! Yes yes and oh yeah! I love me some wave race. I'd rather have this then f zero! WaveRace 64 is really great, but I think Blue Storm really is watch captured a personality for the series. It was also very western audience friendly. With an excellent soundtrack, it was an awesome compliment alongside 1080 Avalanche. Never played a wave race before, so it would be good to finally play. I think a small title for the eshop would be the right way to go for it. And I never knew that there was a Wave Race on the GB! I just want the GB one to be rereleased. 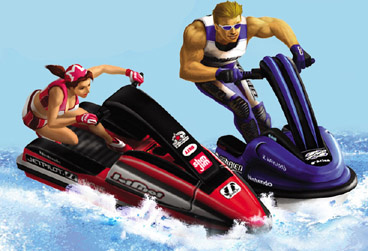 wave race would have been ideal for the balance board if nintendo had brought it for the wii, same with 1080.
it`s just a shame that they never made them. A new Wave Race game? YES please! I'm still playing the N64 and GC versions regularly. Would much rather have a new F-Zero! Love wave race and I miss it. Wave race 64 always had an edge on blue storm. It was just more fun. Blue storm was a great way to show off the graphics of the gc though. Oh MAN I love the Wave Race series of games I haven't played the original game boy one but the 64 & GCN games were phenomenally awesome! I really hope they're finally preparing a new wave race game, but I'd be happy to play the original Wave Race on 3DS VC too. The Game Boy Wave Race, from what I've played over at an acquaintance's house several years ago, I thought was decent. I never played the Nintendo 64 and GameCube iterations. Please Gaming Gods, put it 3DS. Just think how good they waves will look in HD.Full career mode in single player and 16 Jet ski online multiplayer with the controls of Waverace 64,tand we have a seriously amazing game in our hands.Bring it on! Wave Race on Wii U would be tubular. 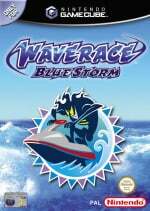 I like Wave Race, so I hope we do get a new game in the series! Waves and racing? Count me in! Honestly though, i never really got into the N64 original and i was too busy being blown away by Luigi's Mansion and StarWars Rogue Leader II on the cube during it's launch to even give a damnzy' about blue storm. I couldn't really get into wave rave 64 when it was first released, but am enjoying it a lot more now. If Nintendo want to get some of the core audience back, bringing back some of the great snes and n64 games will do it. Wave race, f zero and pilotwings being 3 of them. I love any game that involves water physics (or physycs, damn don't know). Plus it's wave race, best effing thing on the world. I remember owning Wave Race on my Gameboy Pocket, when I was a kid. It was such a simple game but still ended up being one of my most played titles. Sadly, I never owned the N64 or Gamecube versions. Maybe Club Nintendo could offer Wave Race 64 as the next game reward to prepare us for the possibility of Wave Race 3DS or Wave Race WiiU. If classic franchises return on the Wii U,that might just be enough for me to get one. We need a new HD Wave Race on Wii U, that would be radical. And to anyone saying that Blue Storm is superior to 64... I apologize but you're incorrect. Also: Anyone remember the first screens of Wave Race for N64 that was more of a F-Zero on water? http://www.unseen64.net/2008/04/04/wave-race-ultra-64/ I'd love to see this finally come to fruition. Yes!!! Would love to see a new Wave Race. Played the hell out of the 64 and Gamecube versions. It was one of their graphical showpiece titles, so it's not surprising it didn't resurface (haha) with the Wii (hoho). With Wii U representing a proper graphics update for Nintendo they'll likely want to stretch their graphical muscles with some water generation and effects. "Would you be interested in a new Wave Race game?" BRING ON THE WAVE RACE!!!! But seriously Nintendo, please either release the GB version for VC, or preferably make a new entry in the series for Wii U. I mean, Wave Race with the WiiPad...C'mon!!! A new Wave Race is long overdue. I'm hoping F-Zero, Baten Kaitos, and Eternal Darkness are next. I'm so gear up for a sequel for any of those series.